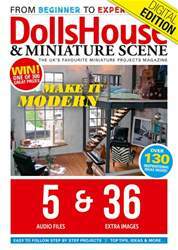 (1 Customer Reviews) | Write Review 12 issues per year A subscription to Dolls House and Miniature Scene magazine opens up an exciting world of gatherings, festivals and shows with like-minded people. It is a world where you can chat through your favourite hobby and marvel at the incredible miniature creations on show. 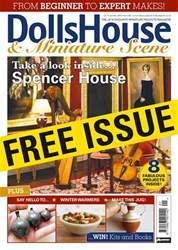 Plus each month, enjoy features on dolls house dolls, dolls house furniture, kits, fairs and shows from around the world. The March issue comes to you with 13 great individual projects and 10 reviews and collections for your inspiration and information. We start to look towards warmer weather here in the UK with a wonderful project from Mette S. Laurendz, showing us how to make some very realistic, miniature hanging petunias as well as continuing our weekend project creating elements for our miniature garden from polymer clay. Marilyn Ormson starts a brand new series, sharing the trials and tribulations of creating her project – Choclat. 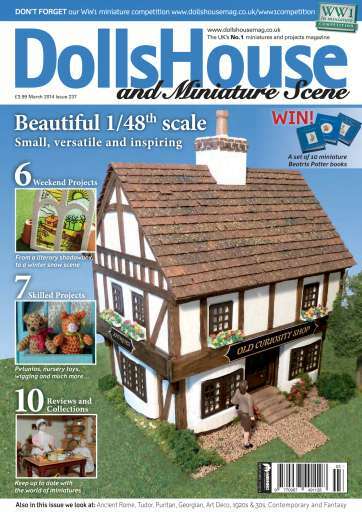 It’s a beginner’s tale so promises to share all kinds of highs and lows of miniature creation. We also look at two lovely 1/48th scale collections – one from Sasha Moore from the UK and the other from Gayle Baillargeon of Petworth Miniatures in Canada. 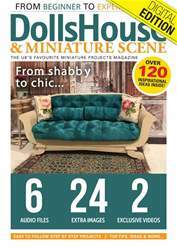 These are two great collections not to be missed and celebrate this smaller scale to perfection. 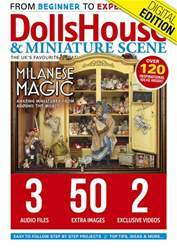 As the world’s most comprehensive overview of everything miniature, you’ll be amazed at how much you can learn inside every issue. 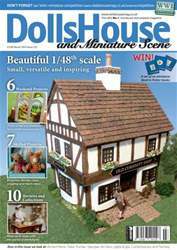 Dolls House and Miniature Scene magazine is the UK’s best-loved source of inspirational ideas and information within the doll’s house and miniatures hobby- there’s a reason why it’s the UK’s bestselling miniatures magazine.